The PowerScan 9500 family of imagers is targeted to be the most suitable solution for all applications in Warehousing, Transportation & Logistics and Manufacturing. The omnidirectional reading capability combined with the snappiness and depth-of-field features allow the PowerScan 9500 imagers to be faster and therefore, a preferred solution over standard laser-based scanners. 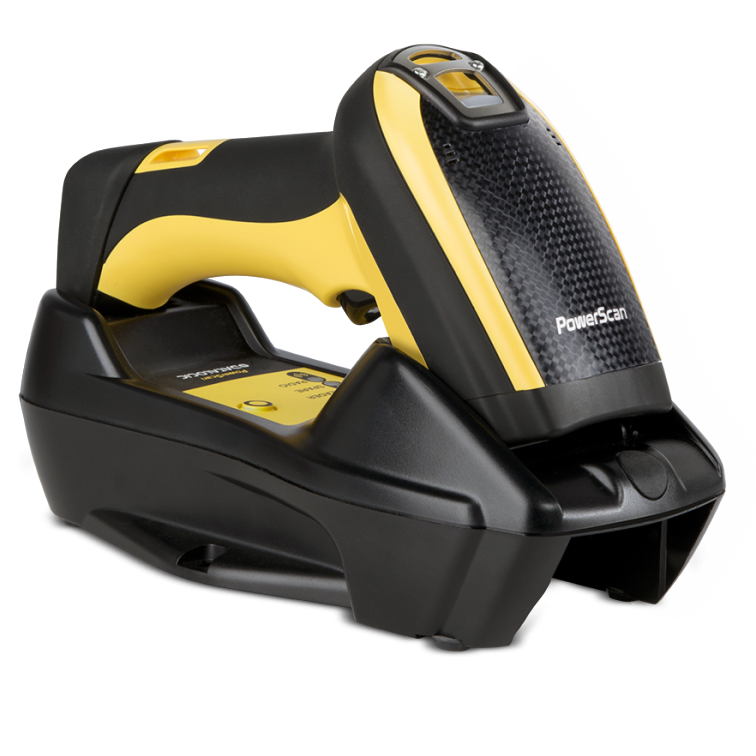 The PowerScan PBT9500 area imager is a mobile scanner based on Bluetooth wireless technology. It includes all of the scanning features associated with the PowerScan 9500 family and provides the freedom of mobility to move around a warehouse without the entanglement of cables. The PowerScan PBT9500 imager is equipped with the most advanced optics from Datalogic, including a ‘liquid lens’ which allows the imager to adapt the focus at different distances. The result is a versatile optic that is able to satisfy any scanning need with a single scanner. A new aiming system consists of a central cross and four dots in the corners. This will clearly identify the captured area and allows intuitive and fast scanning. As always, the rugged mechanics of the PowerScan brand guarantees reliable, long term operations. The BC9180 base/charger includes in one model two different Ethernet connections: Standard Ethernet and Industrial Ethernet protocols such as Ethernet IP and Modbus.